West Palm Beach is a city in and the county seat of Palm Beach County, Florida. It is the oldest large municipality in South Florida, having been incorporated as a city in 1894, two years before Miami. West Palm Beach was first settled in the late 1870s and 1880s. Most settlers engaged in the growing of tropical fruits and vegetables for shipment north via Lake Worth and the Indian River. The city grew rapidly in the 1920s as part of the Florida land boom. Many of the city's landmark structures and preserved neighborhoods were constructed during this period. The 1950s saw another boom in population due to the return of soldiers and airmen who had served in WWII and the advent of air conditioning. Since the 1990s, developments such as CityPlace and the preservation and renovation of 1920s architecture in the nightlife hub of Clematis Street have seen a downtown resurgence in the entertainment and shopping district. 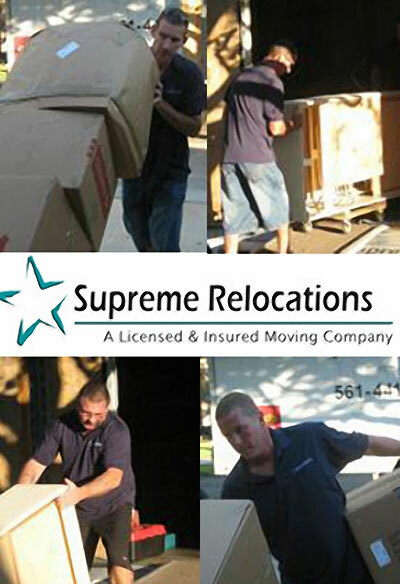 West Palm Beach Moving Company Supreme Relocation are fully insured and provide a host of services that will take care of everything you need to make your moving experience smooth and stress free. We specialize in local moves in addition to providing moving services to anywhere in the USA. Supreme Relocation is an Accredited Business with the Better Business Bureau and a founding member of the Palm Beach County MVP Program. We are proud to have established a reputation for quality and reliability. Whether your move is local and long distance, we look forward to taking care of your family and your belongings.